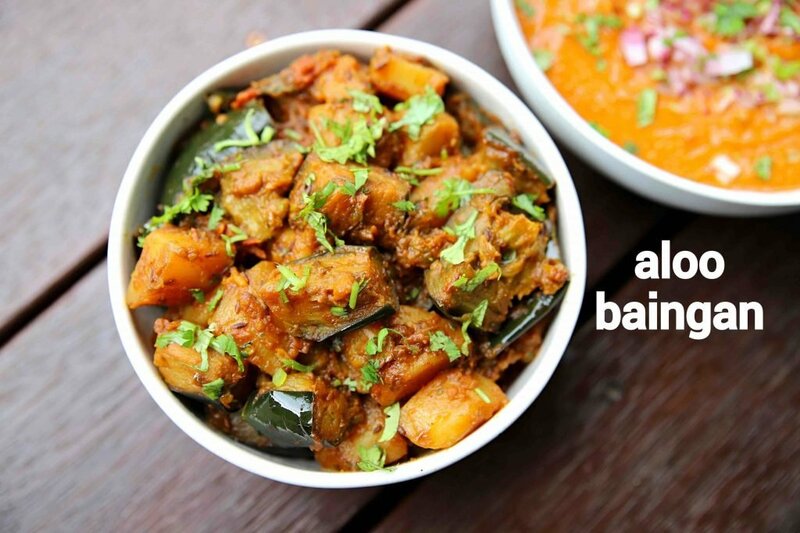 aloo baingan recipe | aloo baigan ki sabji | potato brinjal curry with detailed photo and video recipe. a quick and easy semi-dry sabzi recipe made with an equal proportion of potatoes and eggplant. 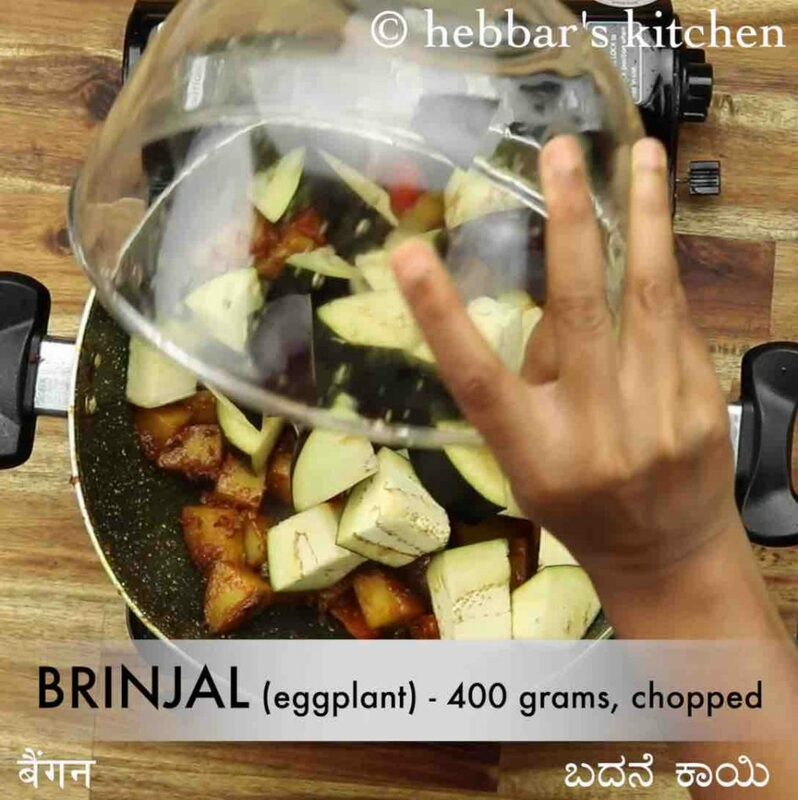 the combination of potatoes and brinjal in a curry makes it unique as the combination of these 2 veggies leads 2 new flavours. it is an ideal dry curry recipe to be served with roti and chapati for lunch or dinner. 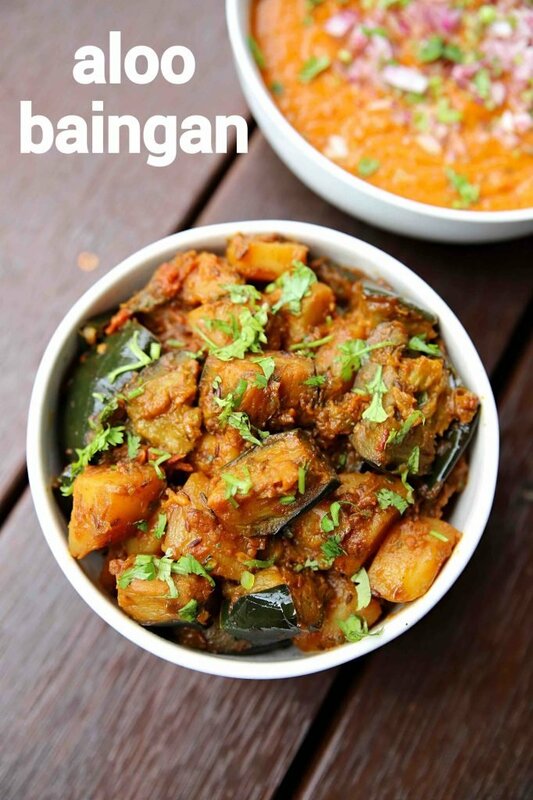 aloo baingan recipe | aloo baigan ki sabji | potato brinjal curry with step by step photo and video recipe. typically indian curry or sabji’s are mainly made with one vegetable as its hero ingredient. but there are few recipes which are made as a combination of vegetables which lead to unique flavour. 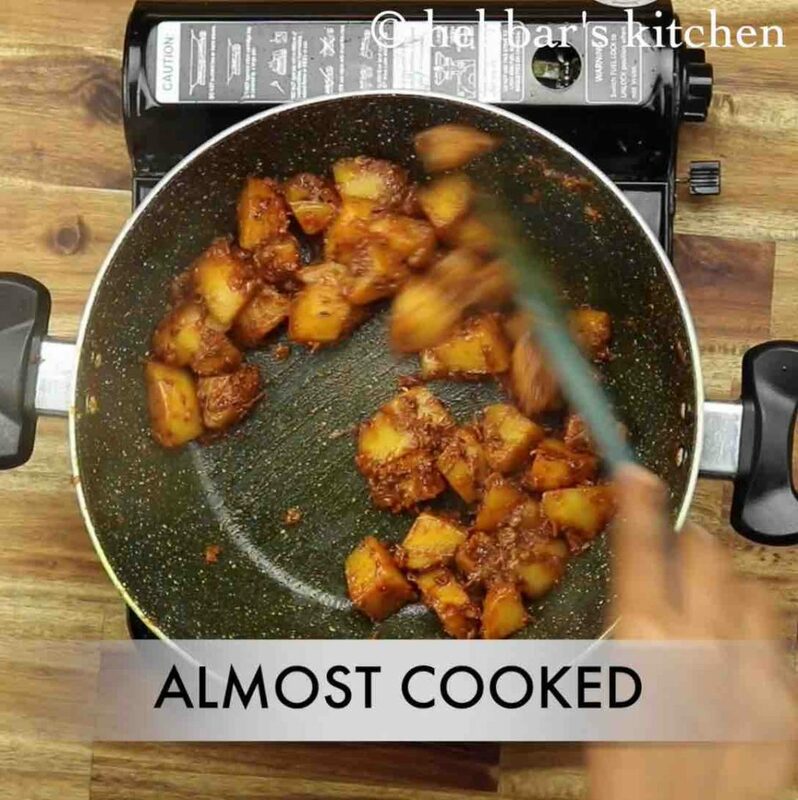 one such easy and quick semi-dry curry is aloo baingan masala recipe with diced potatoes and brinjal. potato recipes are very common across india and are perhaps one of the most sought vegetables for many curry recipes. having said that there are many curry recipes where the potato is used with the combination of other vegetables. brinjal or eggplant is one such popular choice where when combined with potato leads to a unique flavour. to be honest, i personally like the potatoes when cooked with brinjal and generally avoid eggplant when served. but its just me and you may like both as my husband prefers the other way. in addition to these, you can make this curry in a thick tomato and onion based gravy. 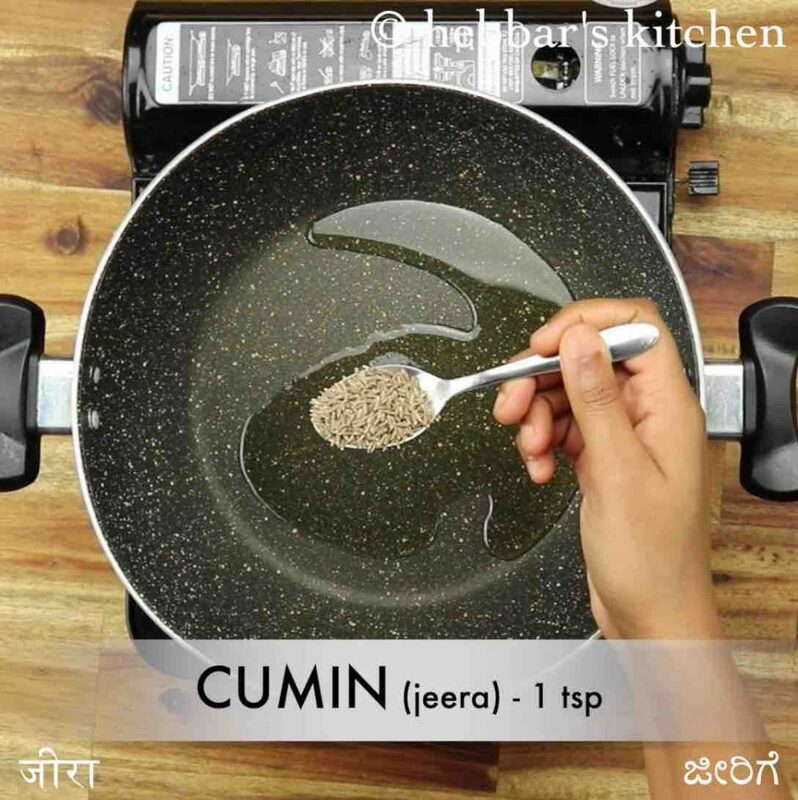 thus making similar to any other masala curry recipe. 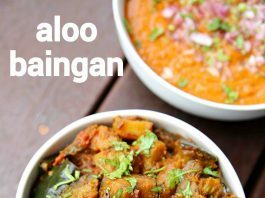 in addition, some tips, suggestion and variation to this simple and easy aloo baingan recipe. 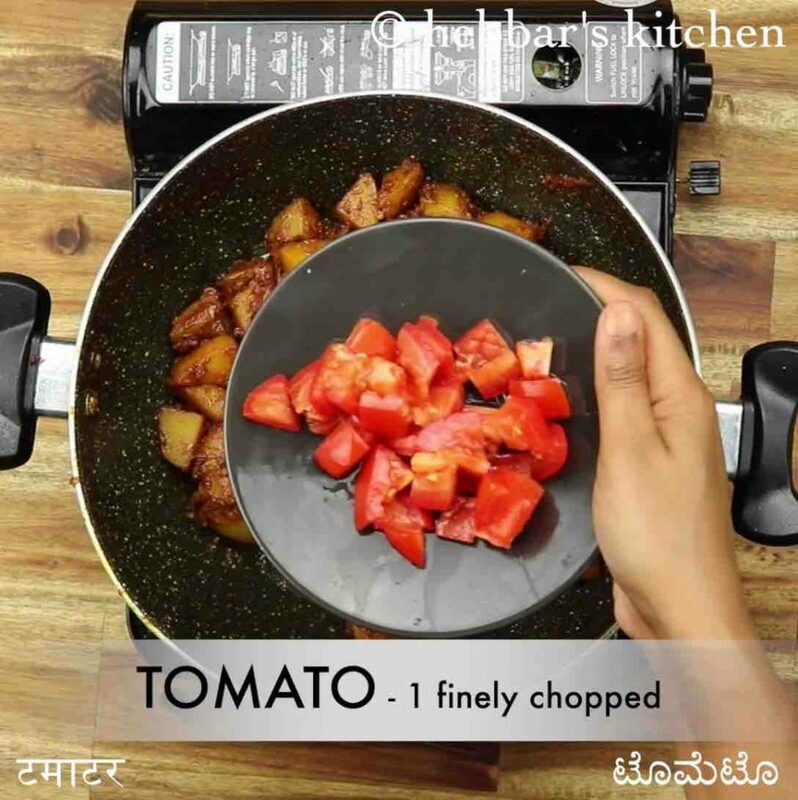 firstly, the size of the chopped potato and eggplant is very critical for this recipe and hence chop them to medium sized shape. it not only helps to cook the veggies faster but also helps to serve them. secondly, do not add both the veggies together to the kadai. add potatoes first and then add eggplant as the cooking time is more for potatoes compared to eggplant. lastly, you can experiment this recipe by adding other vegetables like carrot, beans, broccoli and cabbage. well, i would not call that recipe as aloo baingan but still tastes great when served with roti. firstly, in a large kadai heat 2 tbsp oil and saute spices. now add 1 onion and saute until they turn golden brown. further, add spice powder and saute on low flame. 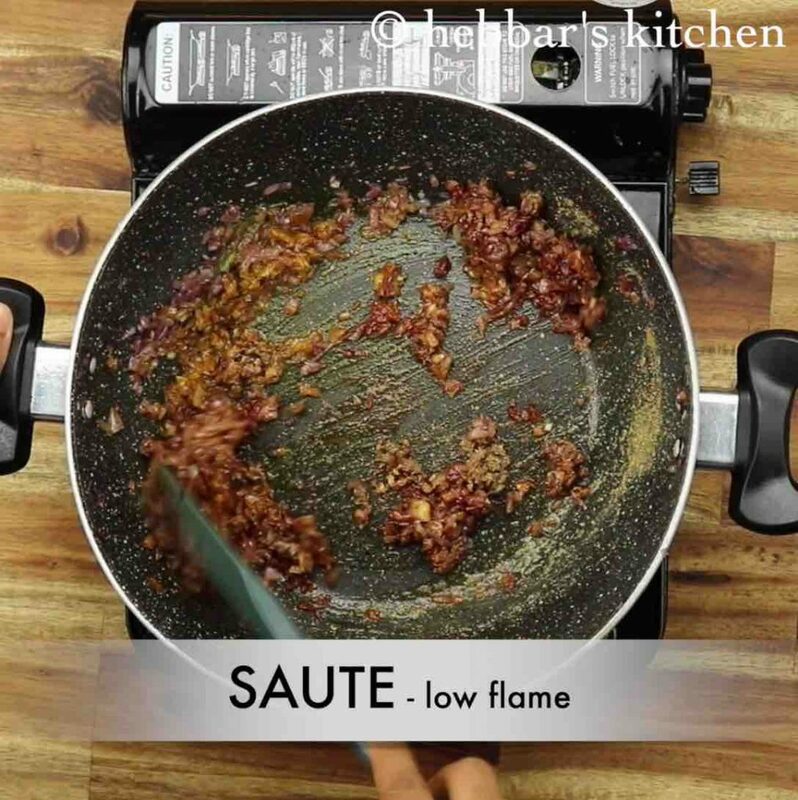 add 4 potato, ½ tsp salt and saute on a low flame. 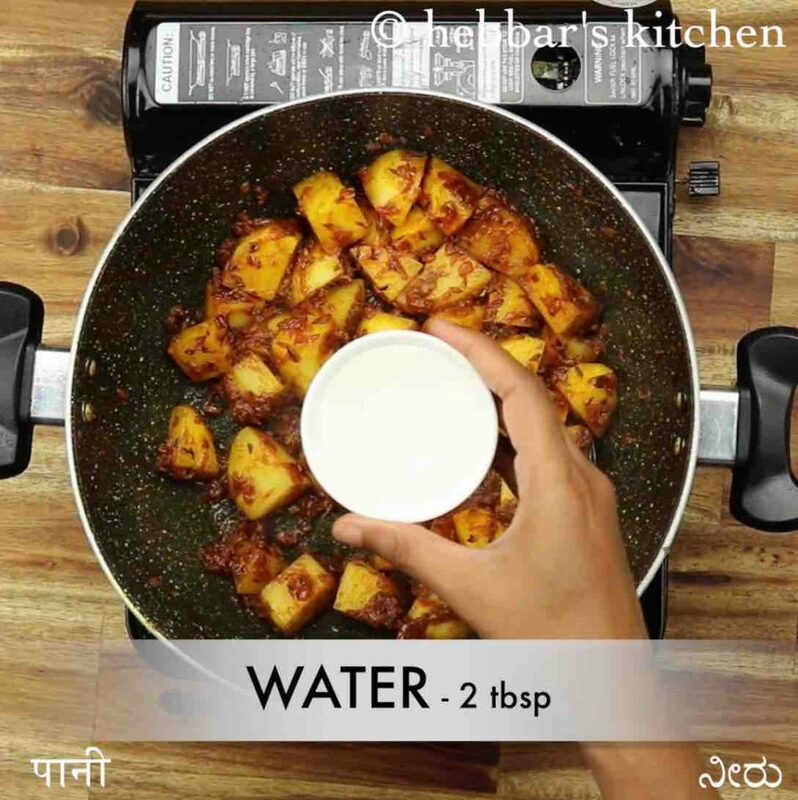 add 2 tbsp water, cover and cook until the aloo is almost cooked. now add 1 tomato and saute for a minute. further, add 400 grams brinjal, ¼ tsp salt and mix gently until the spices are combined well. cover and cook or until brinjal is cooked well. 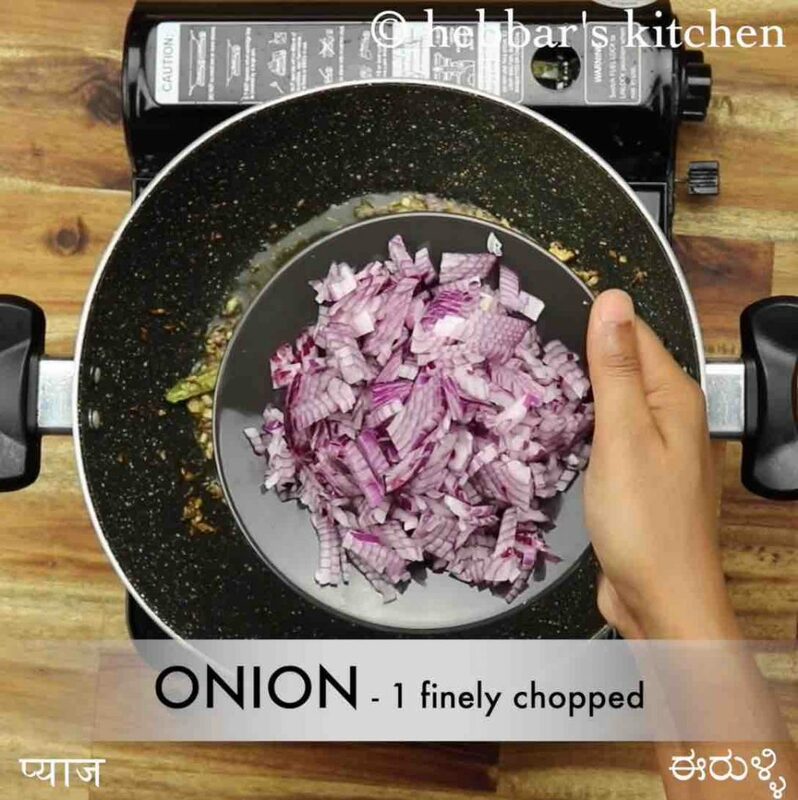 finally, add coriander and enjoy aloo baingan recipe with roti. 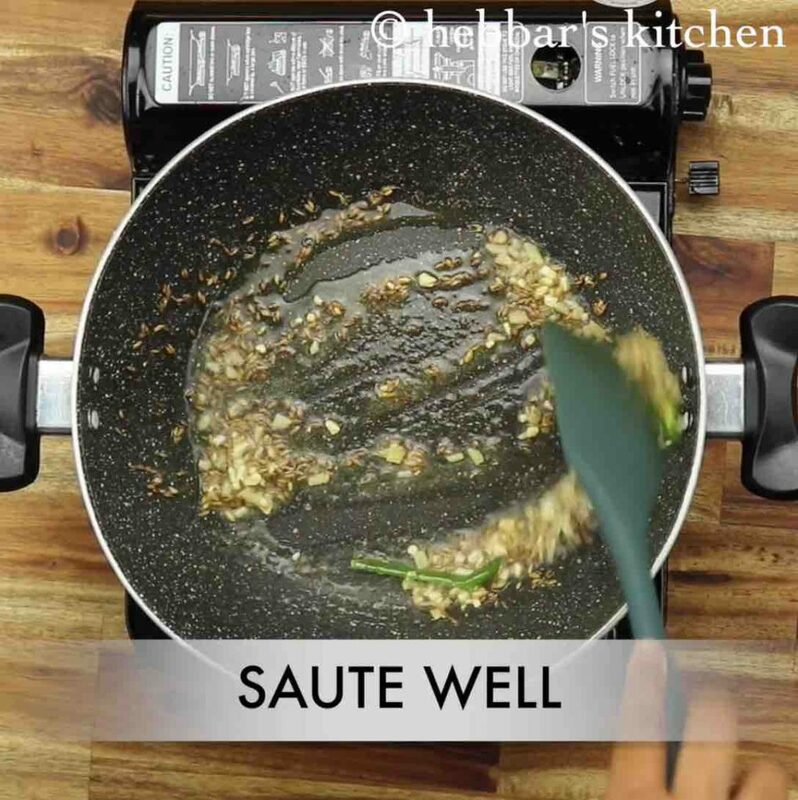 firstly, in a large kadai heat 2 tbsp oil and add 1 tsp cumin, ½ tsp fennel, pinch hing, 3 clove garlic, 1 inch ginger and 1 chilli. saute until the garlic is cooked well. 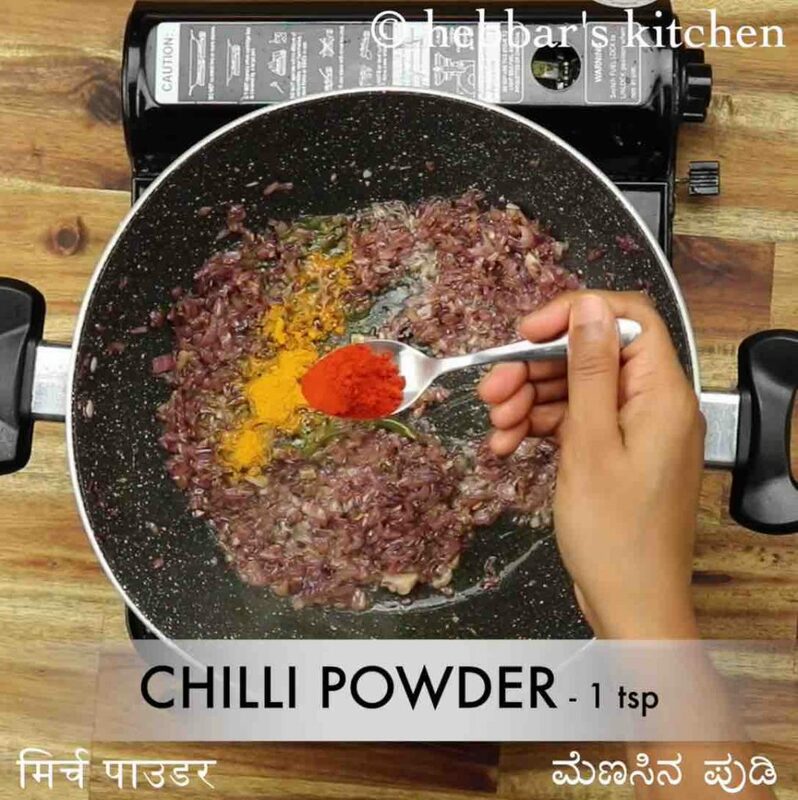 further add ¼ tsp turmeric, 1 tsp chilli powder, 1 tsp coriander powder and ¼ tsp cumin powder. further add 4 potato, ½ tsp salt and saute on a low flame. 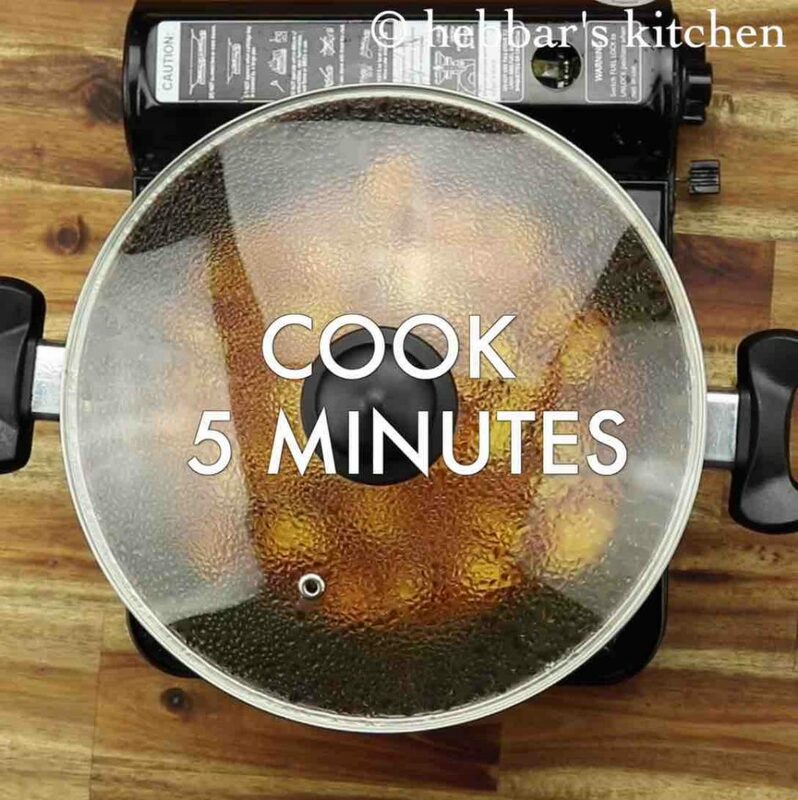 add 2 tbsp water, cover and cook for 5 minutes. 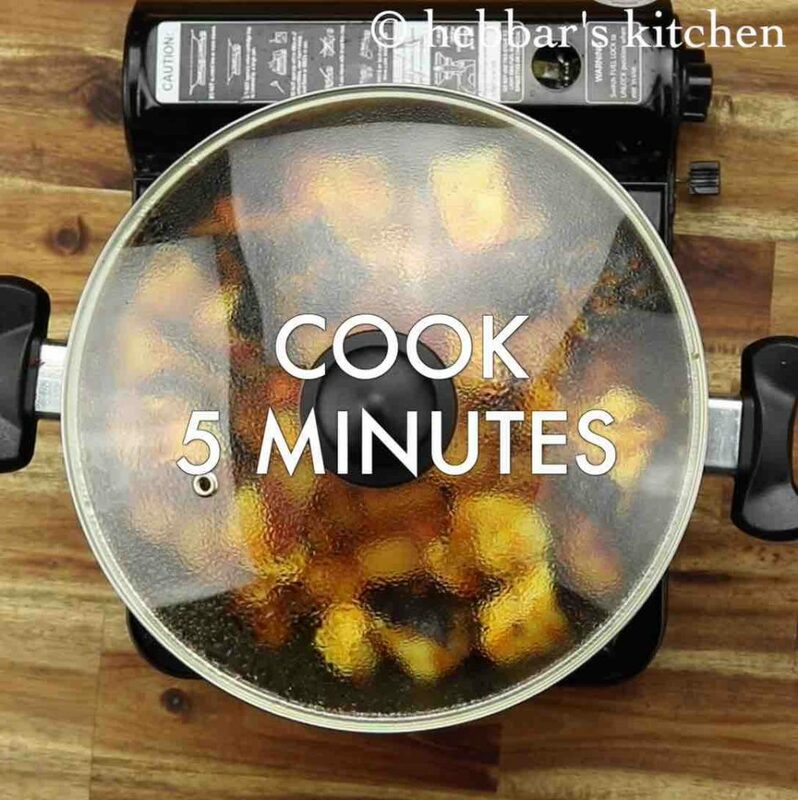 add 2 tbsp more water and continue to cook. 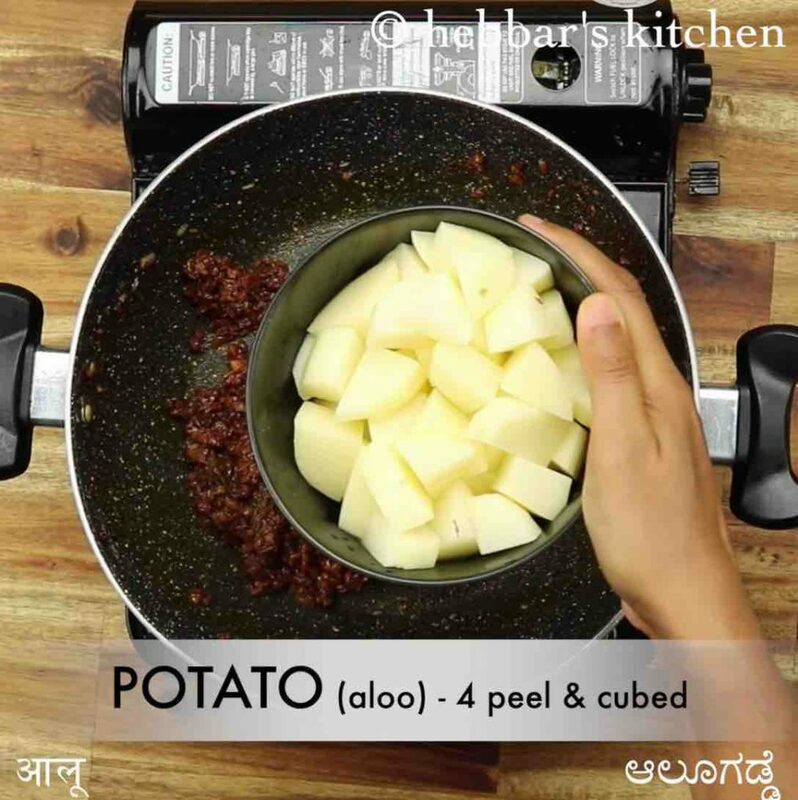 cook until the aloo is almost cooked. 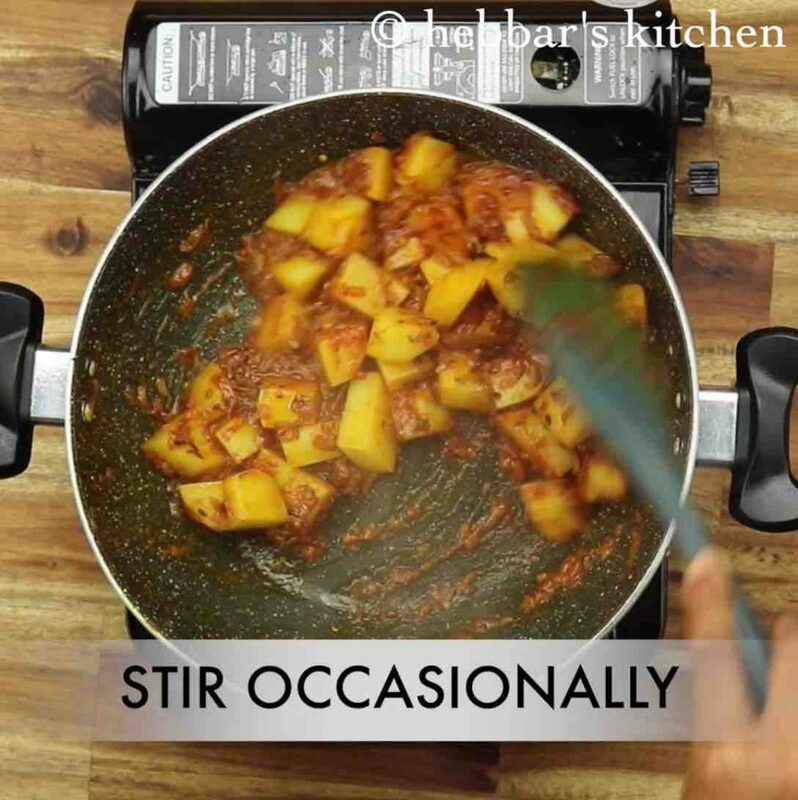 stir occasionally, cover and cook for another 5 minutes or until brinjal is cooked well. 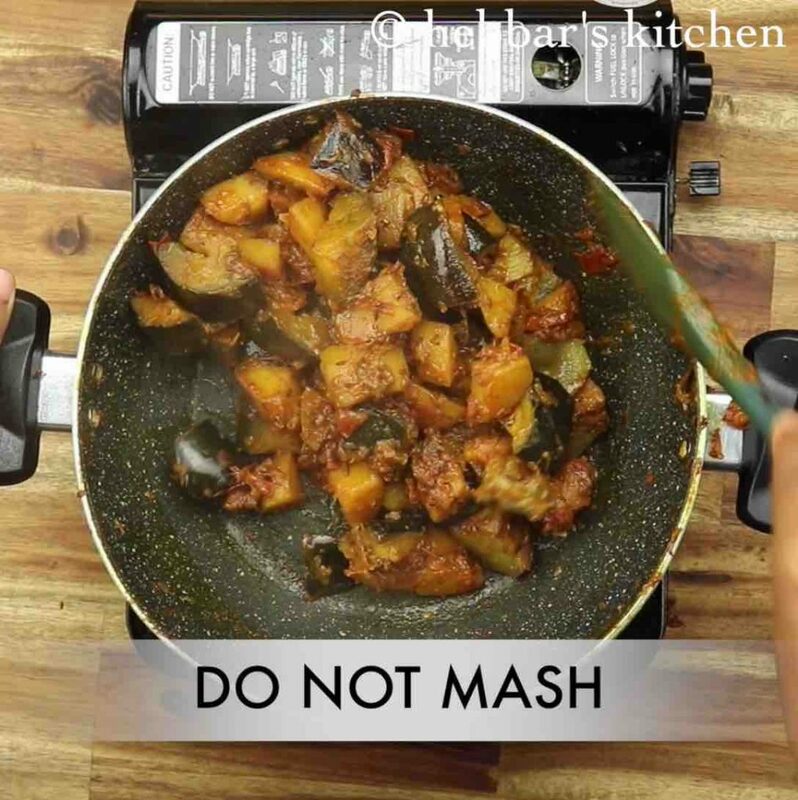 firstly, be gentle while stirring as brinjal will be tender and turns mushy easily. also, to hasten the cooking process you can add boiled potato. additionally, chop and soak brinjal in water to prevent from discolouring. finally, aloo baingan recipe tastes great when prepared slightly spicy.